This is a quick blog tutorial on how to use Wilton’s sugar sheets! 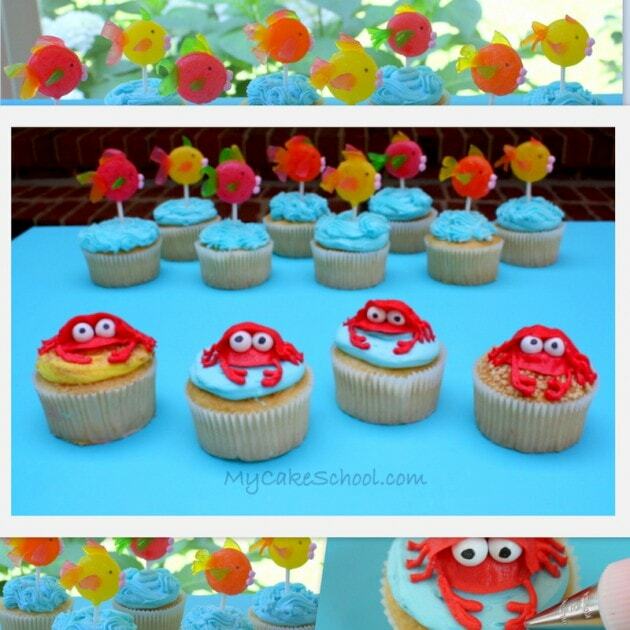 You will love this simple beachy cupcake tutorial for buttercream crabs and lollipop fish toppers! 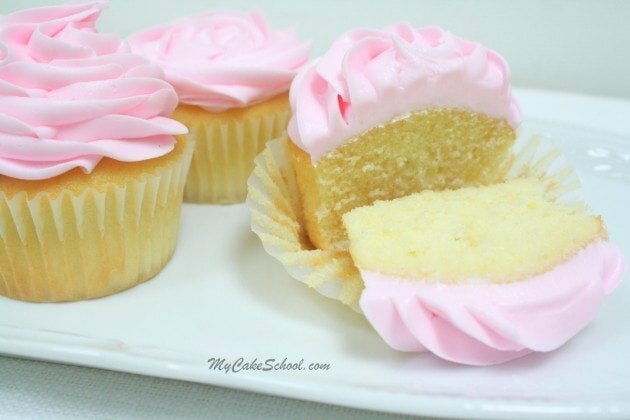 How to Make ADORABLE Cookout Cupcakes in this Free Cupcake Tutorial by My Cake School! 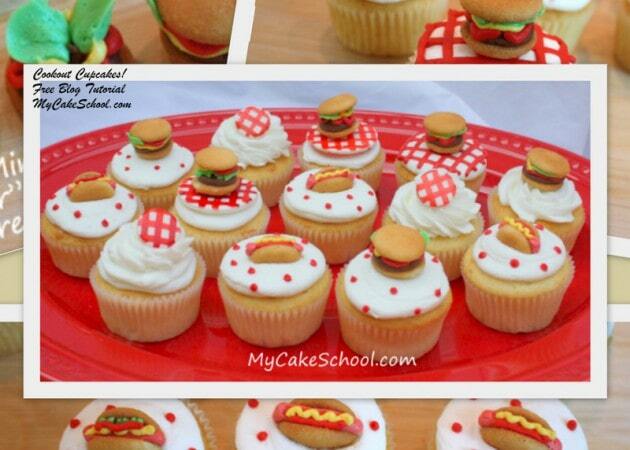 Learn to make easy hamburger and hot dog cupcake toppers! 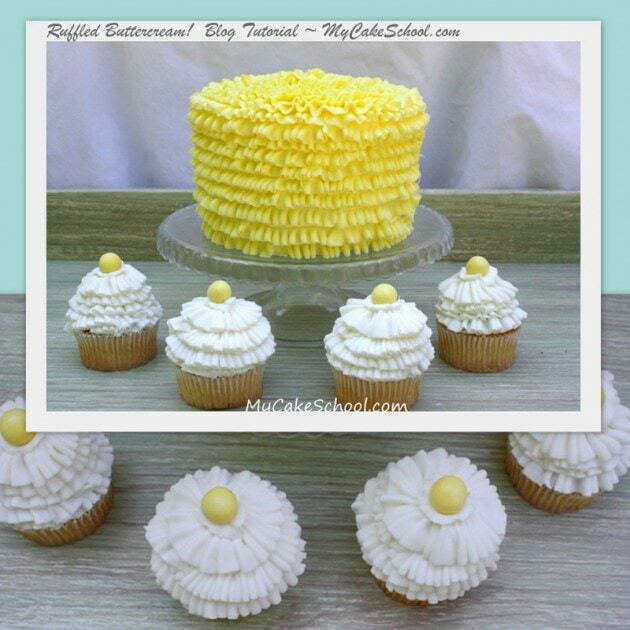 Learn to create beautiful buttercream ruffles for cakes and cupcakes with piping tips 050 & 070! 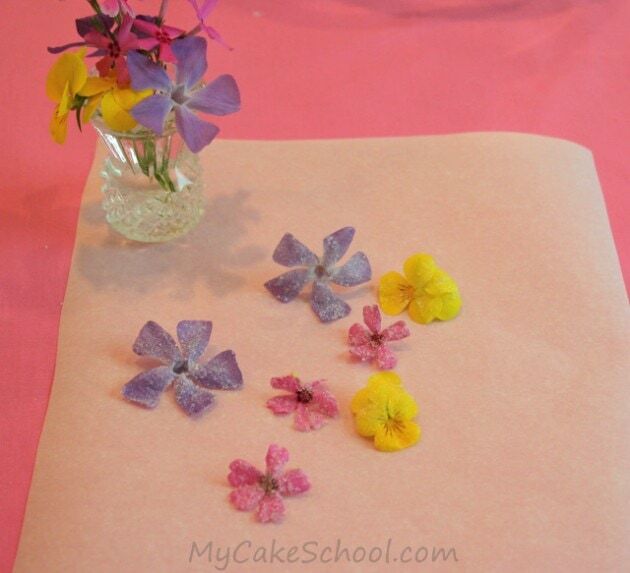 In this simple Easter blog tutorial, you will learn how to make lovely sugared flowers. 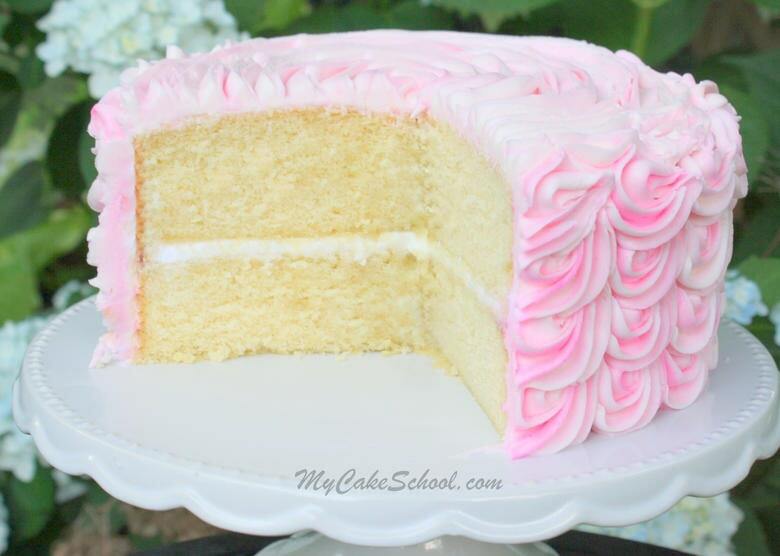 You will love this moist, delicious and versatile White Almond Sour Cream Cake doctored cake mix recipe by MyCakeSchool.com. 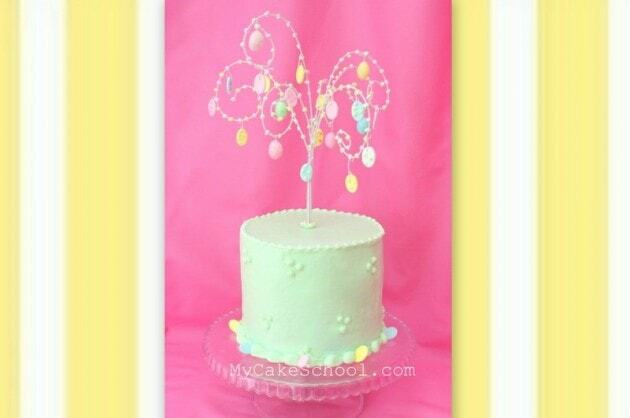 In this blog tutorial, you will learn how to make a simple Easter Tree cake topper! 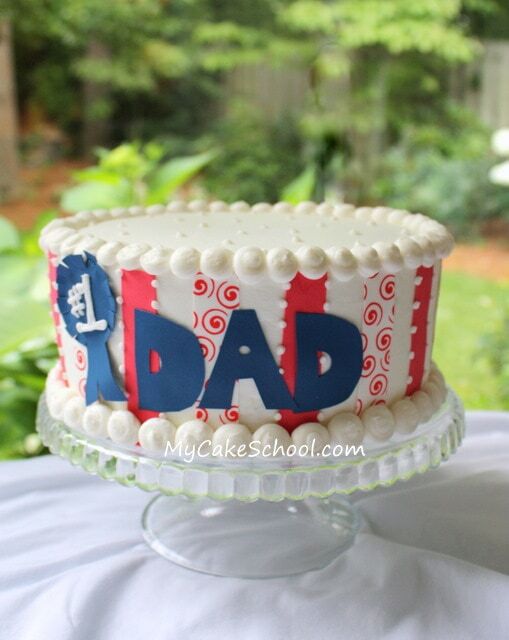 I found this recipe on CakeCentral.com— I really like it for carving cakes….especially cakes that are tapered at the bottom (Topsy turvy cakes, Pillow Cake, etc.). ****We use Duncan Hines cake mix **** If using Betty Crocker or Pillsbury (pudding in the mix) cake mixes, I DO NOT add the box of instant pudding …. 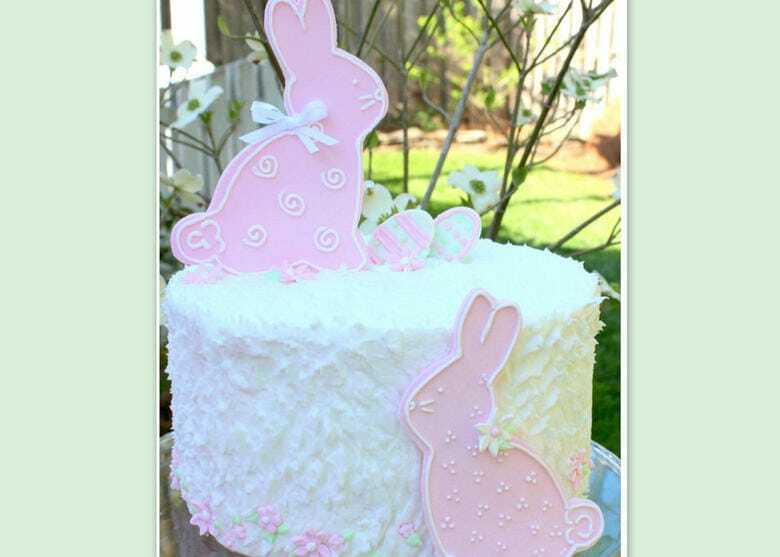 In this spring blog tutorial, you will learn to texture buttercream and also how to create gum paste bunny decorations!